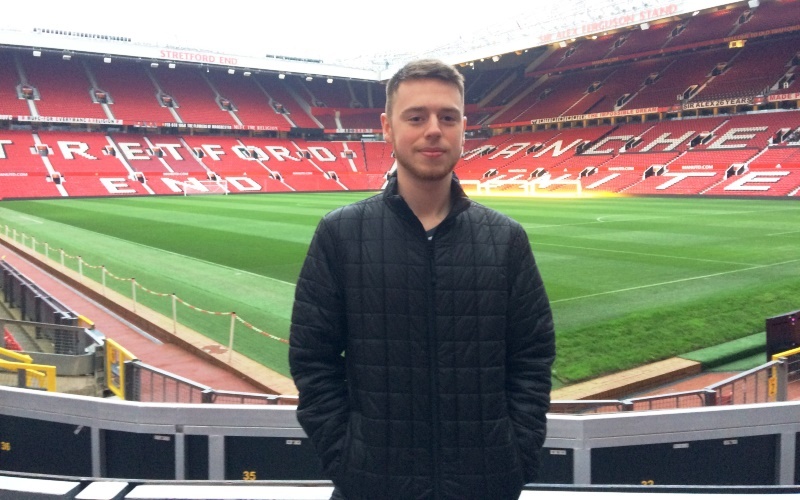 When people ask me what I do as a trainee journalist it’s honestly hard to explain, writes School of Journalism first-year trainee Jacob Bentley-York. Trying to sum up quite how much I’ve done and how far I’ve come in the last year as an individual is difficult to summarise. Coming from a relatively small town in the south west of England, Manchester was inevitably a challenge at first. But ultimately it provided the perfect platform to grow as a journalist with news around practically every corner. 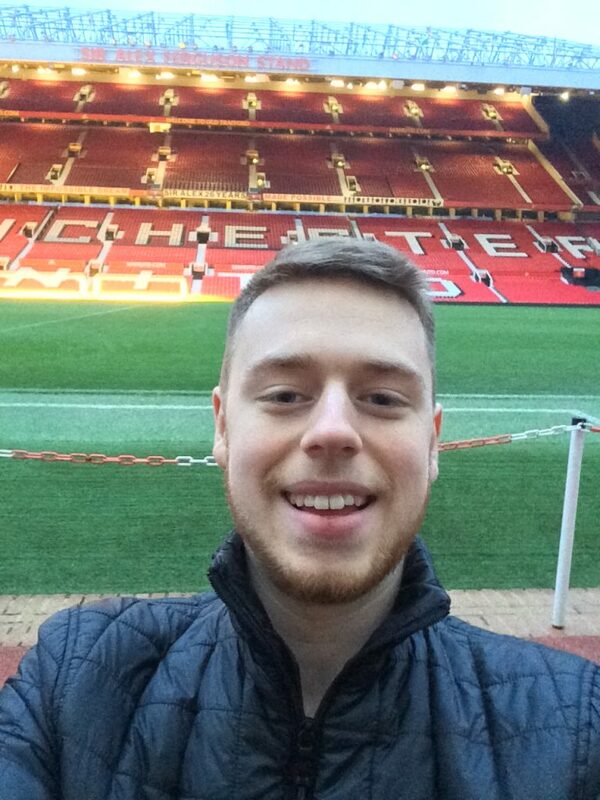 From meeting people from across the globe through my feature writing to interviewing managers in press boxes, the stories I’ve covered have stretched far beyond the Mancunian borders. When it comes to starting out in journalism, getting your foot in the door with contacts is a necessity. And through the work for our in-house news outlet Mancunian Matters, it wasn’t long before I got my first major interview. The Britain’s Got Talent team were in town for the preliminary auditions and ITV got in touch with the possibility of interviewing 2017 finalist Matt Edwards. The story required persistence and patience from the get-go as getting an answer from a major broadcaster isn’t always easy, and I quickly learnt stories don’t just fall into your lap. I made the most of the ten minutes I had with Matt, a magician, and he provided an engaging first interview for me with some great stories and quotes. Coming into the sector you realise that being amicable with as many people as possible is important. And, having done some vox pops in the diverse Manchester community within the first few weeks of my degree, I realised just how important people skills are as well as being able to write. My second term started with a slightly sombre tone when I was fortunate enough to cover the Busby Babes memorial service at Old Trafford to mark 60 years since the Munich Air Disaster of 1958. Attended by the whole Manchester United first team and legendary names such as Sir Alex Ferguson and Sir Bobby Charlton, there was a sense that this was just as poignant as ever to fans and players alike. Speaking to older fans both before and after the service, it was great to hear, and then later tell, the stories of fans who remember the time well and their memories of the famous team and what they meant to them at the time. Despite not coming from the area myself, there was a certain level of pride in representing the fans through the story as suddenly an event that happened 60 years ago had become more tangible for younger audiences which was something very special. My football adventure continued later in February when our sister company Sportsbeat got me accreditation to cover a match at my hometown club Reading FC. Although the temperature was dipping below freezing at the time, the experience was invaluable. It provided me with real-world experience of reporting to time restrictions and ultimately dealing with the unpredictable nature of the beautiful game. 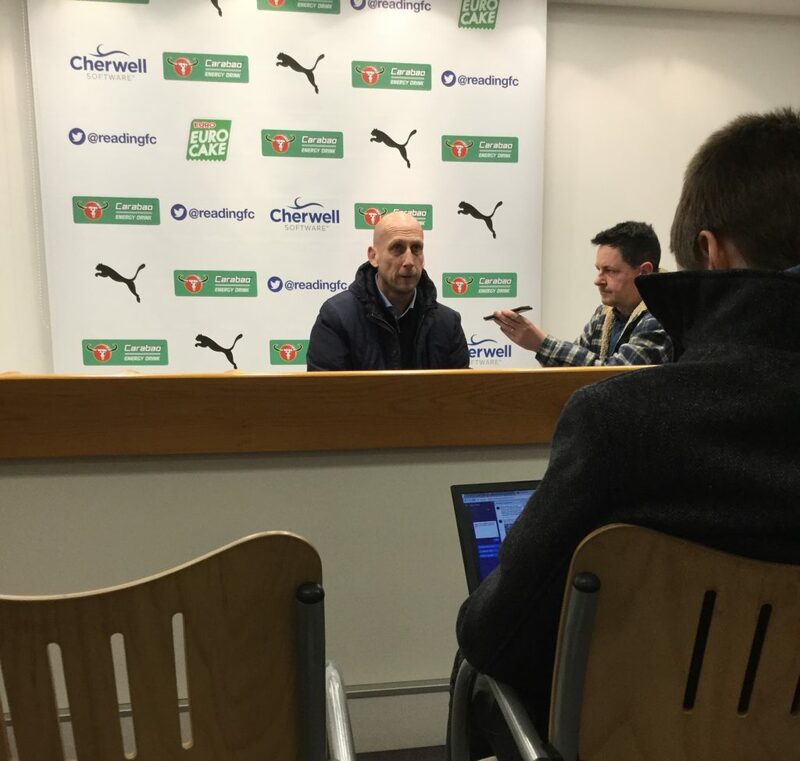 I got the chance to grill the then Reading manager Jaap Stam after his side had just succumbed to a 3-1 home defeat to Sheffield United and it was one of those moments when you feel you are at the forefront of proceedings and, as a football fan, that was particularly exciting. One of the watershed moments of second term came in the form of the Manchester Film Festival when I was able to source an interview with a New York-based actress called Arielle who was staying in the area for the showcase of her short film Sac De Merde. Although a rather peculiar experience at first, Arielle and I met in the restaurant of the hotel she was staying in for what she described herself as a ‘quintessentially British setting’ to talk everything from the film industry to Donald Trump. Exchanging stories and the cultural differences between us Brits and our transatlantic cousins, the interview provided something completely new and fascinating to me and was something that was only made possible through the links made in journalism and through the School of Journalism. As with all academic courses, our third term was largely consumed by impending exams – for us it was Essential Media Law. But I certainly had some of the best people around me to help with this. Although it once seemed far removed from my life, you quickly realise that media law works in tandem with practically everything you write as a journalist and it brought home the point that being part of the School of Journalism has meant that I’ve not been shielded from the realities of real world journalism. And already at the end of my first year, I have the combination of experience and knowledge that I can take out and apply in the field. The most exciting part about it is that, beyond the timetabled lessons for modular subjects, every week is different and that’s what makes journalism, and the School of Journalism in particular, so unique. Who knows what I’ll get up to next year!